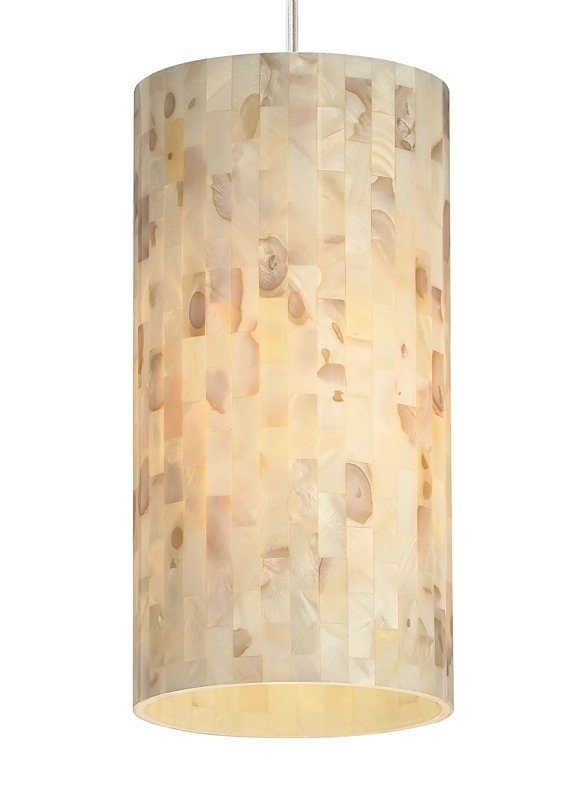 The Playa pendant brings the elegance and natural look of shell panels into your home. This pendant is hand crafted, burnished to remove rough edges, meticulously polished, cut to size, and carefully adhered by hand to an inner glass cylinder. Black, satin nickel, and white canopy options highlighted with clear cable; antique bronze highlighted with brown cable. Please select your hardware finish desired. Includes 60W incandescent bulb and six feet of field-cuttable cable.